Teacher pay is an issue at the heart of both standoffs. Teachers and students in Los Angeles returned to their classrooms on Wednesday after a deal was reached, ending the city's landmark teacher strike. Though a deal was reached in Los Angeles, a similar conflict seems set to unfold in Denver as teachers there voted in favor of a strike. The Denver teachers' strike can legally start as of Monday, Jan. 28, after 93 percent of unionized teachers voted for the strike on Tuesday night. "They’re striking for better pay. They’re striking for our profession. And they’re striking for Denver students," Rob Gould, the union's lead negotiator, said at a press conference Tuesday, according to The Denver Post. (David Zalubowski/AP, FILE) Kate Martin, a former teacher and current employee of the Denver Classroom Teachers Association, unloads items for a potential teachers' strike outside the union's headquarters in south Denver, Jan. 17, 2019. Those demands echo the ones called for in Los Angeles. Teachers in California's most populous city went on strike over teacher pay, class size and funding for school support staff, among other issues. A deal was reached Tuesday, Jan. 22, which marked the ninth day of the strike that took 30,000 teachers out of classrooms. (Richard Vogel/AP) Parents and toddler wave to children as they return to the Evelyn Thurman Gratts Elementary School in downtown Los Angeles, Jan. 23, 2019, following a city wide teachers' strike. Tens of thousands of Los Angeles teachers returned to work Wednesday after voting to ratify a contract deal between their union and school officials, ending a six-day strike at the nation's second-largest district. The contract that was reached included a 6 percent pay increase and a plan to lower class sizes over the next four years. 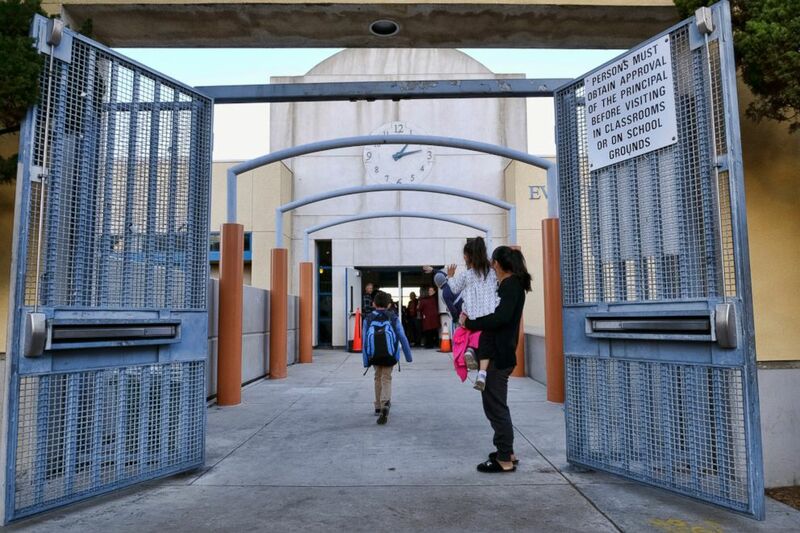 The Los Angeles mayor, the schools superintendent and the head of the teachers union announced at a joint news conference Tuesday that a tentative deal was reached, and the member teachers voted on it Tuesday evening, formalizing the deal.